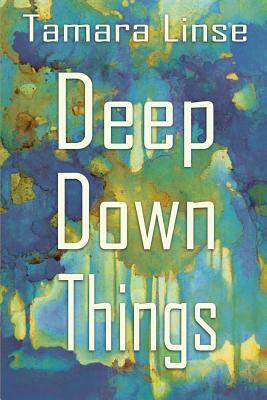 Deep Down Things, Tamara Linse's debut novel, is the emotionally riveting story of three siblings torn apart by a charismatic bullrider-turned-writer and the love that triumphs despite tragedy. From the death of her parents at sixteen, Maggie Jordan yearns for lost family, while sister CJ drowns in alcohol and brother Tibs withdraws. When Maggie and an idealistic young writer named Jackdaw fall in love, she is certain that she's found what she's looking for. As she helps him write a novel, she gets pregnant, and they marry. But after Maggie gives birth to a darling boy, Jes, she struggles to cope with Jes's severe birth defect, while Jackdaw struggles to overcome writer's block brought on by memories of his abusive father. Ambitious, but never seeming so, Deep Down Things may remind you of Kent Haruf's Plainsong and Jodi Picoult's My Sister's Keeper.